Exploration – In the exploration phase, students working in small groups, explore a new environment on their own, with minimal interventions on the part of the instructor. This phase is the learner’s personal encounter with the new material. The instructor’s principal role in the exploration phase is designing a task that will force the students to call their existing models into question. 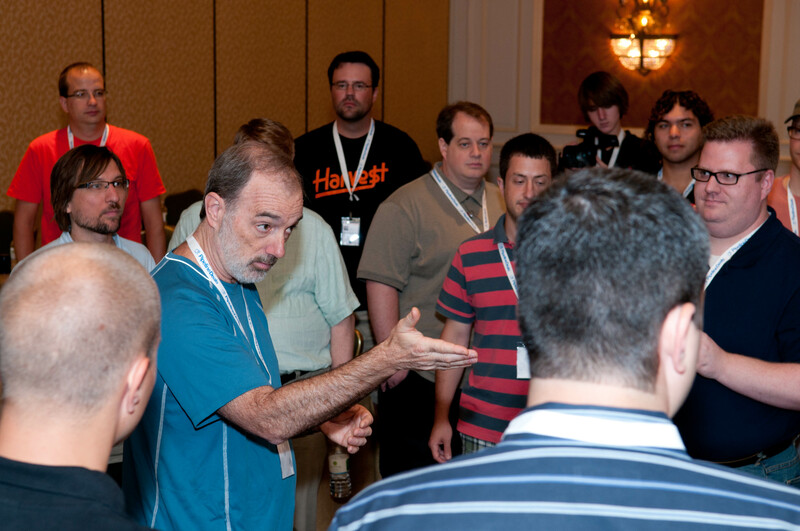 Invention – The invention phase brings the entire group together, with the instructor playing a leading role. The group tries to make sense of the data generated during exploration. They work in an analytical mode, trying to generalize from their data by inventing new concepts or tools. The instructor may provide the standard technical terms for these “inventions,” or present a model in current use, or even deliver a mini-lecture to illuminate or integrate the students’ inventions. Application – This phase completes the learning cycle by creating the opportunity for the students to interact with the world once again, this time using their newly acquired models. As in the exploration phase, the instructor merely provides a structure and observes the learners working in their small groups. How can managers provide effective leadership, given the different dynamic and needs of self-organizing Agile teams? This workshop provides a clear understanding of the management role, and how its functions are different in both objective and context. You will learn how to assess, define, and resolve problems to lead and support your teams using an Agile perspective. This workshop provides the essential foundations and fundamentals for all teams engaging in Agile development. Team members, Scrum Masters and Product Owners come away with a shared language and understanding of perspective and context, the why and how of Agile processes and roles, and how to communicate and function effectively together. Team members learn how to optimize their teams from within by fostering emergent, dynamic leadership. Participants gain a functional understanding of how to apply an Agile mindset to improve the way they self-organize and work together, to achieve their collective internal and external objectives. Learn how to use proven techniques and tools to optimize your effectiveness as a Scrum Master. You will gain an understanding of personality preferences, communication styles, congruence, and team formation dynamics, and learn how to apply interpersonal skills in your role and in your interactions with other team members and stakeholders. Learn how to coach beyond the team. Agile coaches and Scrum Masters face many challenges. They have no authority to insist people listen or do, yet managers and executives expect organization-wide results from their activities. Furthermore, many executives see clearly how teams should change, but don’t see how the environment or their own actions impact teams. … read more here.